Last week the Bridges organization held their annual conference in Jyväskylä, Finland. This international conference features lectures and workshops that highlight the connections between mathematics, music, art, architecture, education and culture. My favorite part of the five day event is the art exhibition. This year there was a wide range of styles, techniques and mediums on display. it is difficult to select only a few for this blog but I will try. 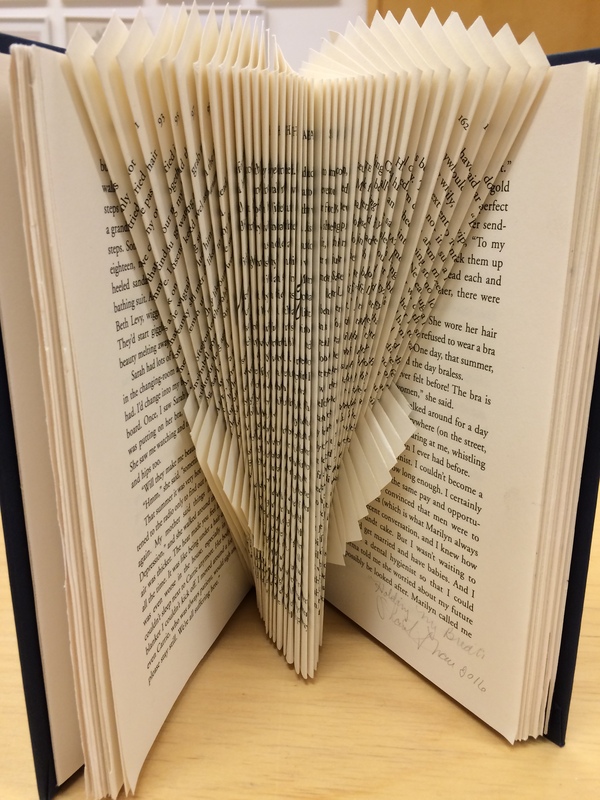 Sharol Nau repurposes unwanted hard cover books to create sculptures that contain parabolas. A parabola is a curve with reflective symmetry, in which each point on the curve is the same distance from a fixed focus point and a fixed line. The artist carefully measures and folds each page to the common focus point. The resulting portable sculpture preserves the exterior shape of the book but creates a new visual story for the interior. Nithikul Nimkulrat hand-knots sculptures using paper string. 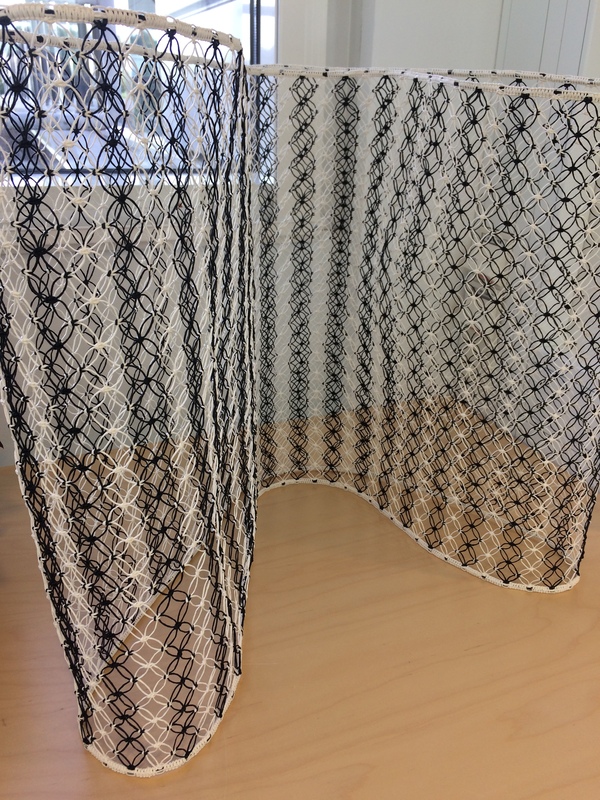 Inspired by mathematical knot diagrams, the artist employs two colors of string to better indicate the positions of each stand within the knot structures.”Black & White Striped Knots”examines properties of knotted textiles. Looking closely at the work, the circular patterns emerge. Overlapping circles cross to form four equal arcs. This creates a series of monotone circles with the arcs of adjacent circles forming a pattern with order-4 rotational symmetry. 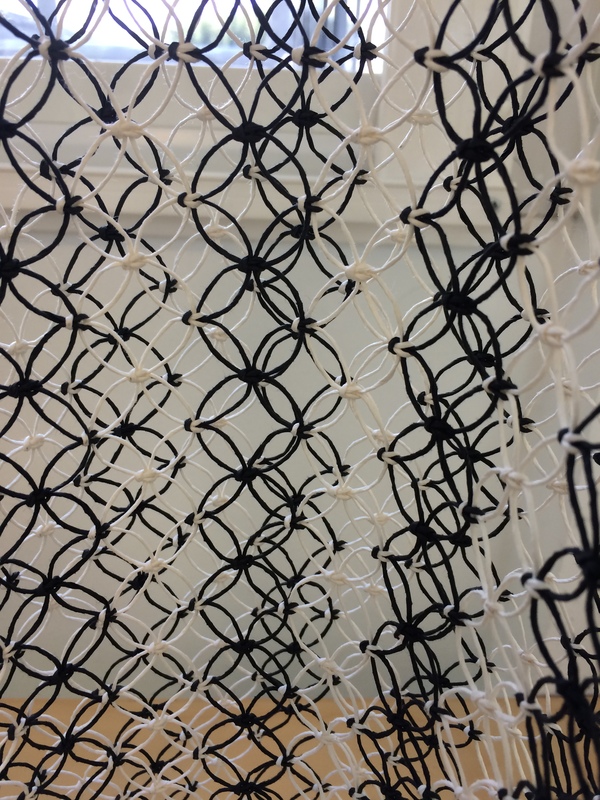 Nimkulrat’s intricate structure is a wonderful exploration of the mathematical possibilities in textile and fiber art.